After the post about decorating with poinsettia, I realized I do not have very many poinsettia ideas on my blog. This really surprised me because there were always poinsettias in our home for Christmas. ALWAYS! Even now, as soon as they appear in the store my mom brings home one for herself and one for my Grandmother's table. So now that I am aware of it, I am going to have to rectify the deficiency. 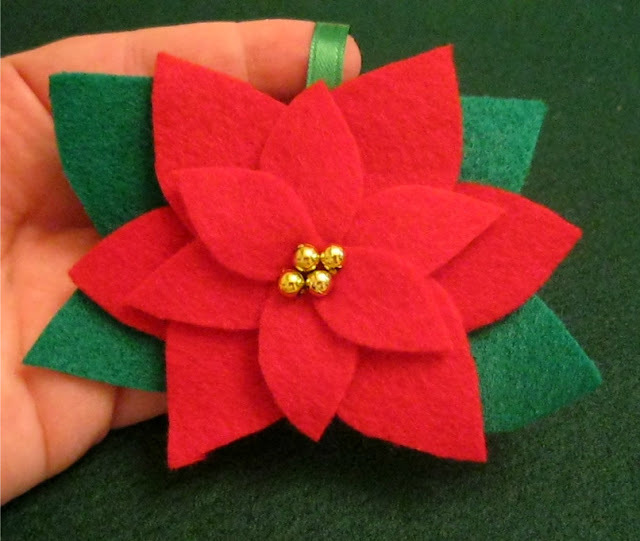 It is time for a poinsettia roundup, starting with the gorgeous felt poinsettia from The Trouble with Crafting. She intended it to be homemade Christmas ornament, but just change the back and you can use the poinsettia as a napkin ring, Christmas corsage, or a cute Christmas clip for your little girls hair. 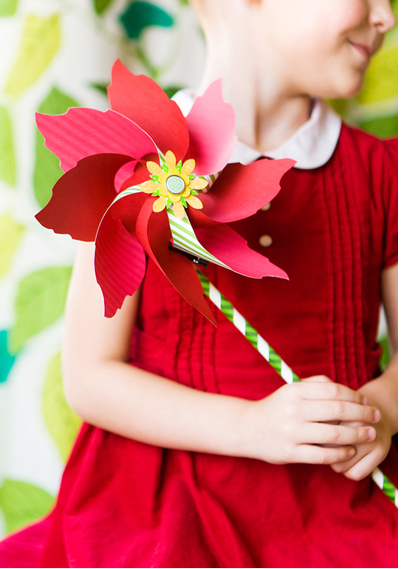 If you are looking for something fun for the kids, this poinsettia pinwheel from Heather Bailey is a fun Christmas party favor. You can download the pinwheel template for free on her blog. 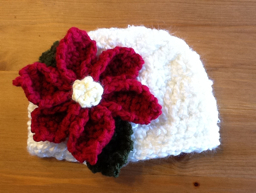 If you know how to crochet, this free poinsettia pattern from The Dainty Daisy can be used to make a cute winter hat or to embellish some other craft like a pillow. 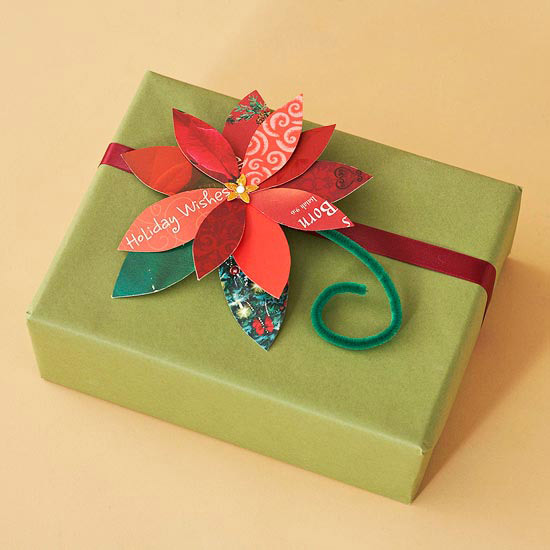 BHG repurposed old Christmas cards to create these beautiful poinsettia gift tags. You could use the same paper poinsettias to create new Christmas cards too. 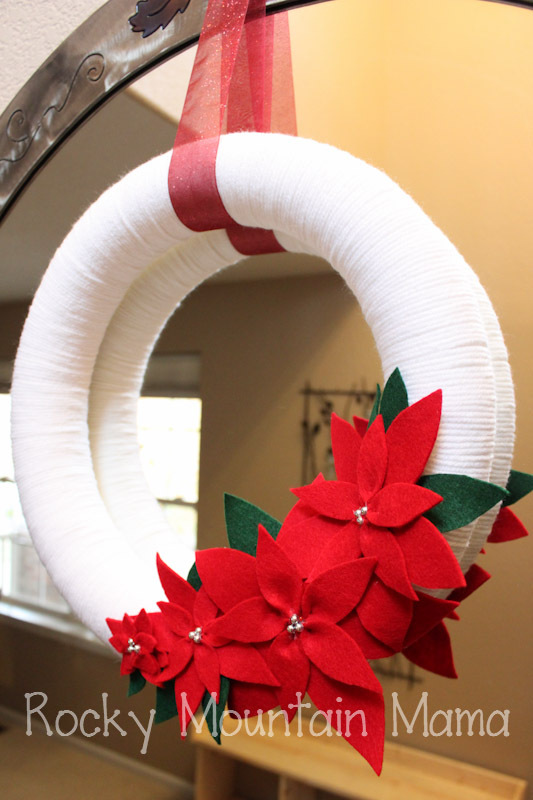 And a few felt poinsettias in different sizes and you have a gorgeous poinsettia Christmas wreath for your front door. You can see the tutorial for this poinsettia wreath over at The Paper Mama.